Chance Kornuth and Andras Nemeth both won major events online on Mar. 17. Discover what they won, here. There were some incredible results in the online poker tournament world on Mar. 17 with several well-known and established players taking down major events. 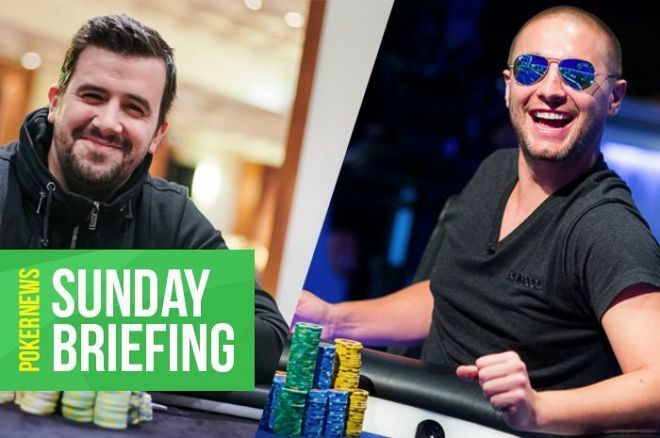 Chance Kornuth and Andras Nemeth were among those big winners, let’s take a look at this week’s edition of the Sunday Briefing. This week’s $109 Sunday Million attracted a field of 10,360 who created a $1,036,000 prize pool that was shared among the top 1,826 finishers. Scraping into the money banked $182 while the champion was set to receive more than $108,000. $7,727 was the least anyone at the final table could win, and this was the sum “MkMyWishFish” walked away with after busting in ninth-place. Each of the other eight finalists was now guaranteed a five-figure score with Germany’s “DirtyTowel” turning their $109 into $10,747 after falling in eighth-place. 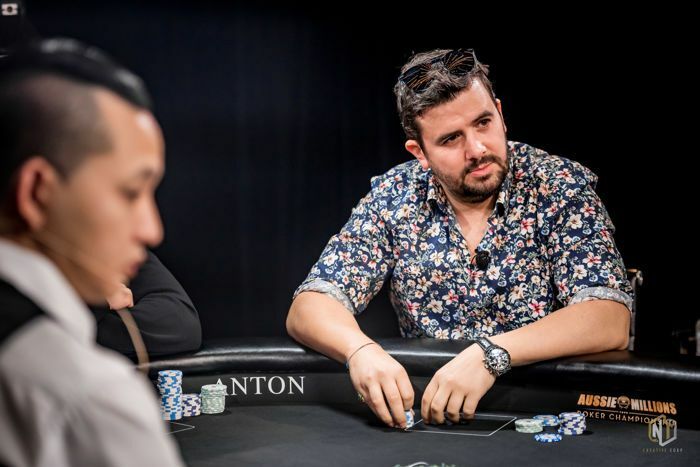 Talented Austrian “poker@luffyD” crashed out of the Sunday Million in seventh-place and collected $14,947 while German grinder “waterboy1921” secured a $20,789 prize following their bust out in sixth-place. The prize money kept on growing with Sweden’s “ShipitFTW911” padding their bankroll with $28,914 before a brace of Brazilians busted in fourth and third-place. “danilo18_BR” finished in fourth-place for $40,213 with “Leo Borgheti” locking up $55,929 and the bronze medal. Romania’s “luigy666” and Croatia’s “QTsN€v€rF0ld” fought for the first-place finish and the lion’s share of the prize pool. It was the Romanian who emerged victoriously, and they helped themselves to $108,192 with this week’s Sunday Million runner-up winning $77,787. It was a case of third time’s a charm for Andras “probirs” Nemeth in the PokerStars $2,100 Sunday High Roller after his third-bullet secured him first-place and $50,695. Nemeth’s fellow Hungarian “KuuL” burst the bubble after falling in 14th place meaning everyone remaining won at least $5,445. This sum increased to $6,137 by the time the final table was reached and was the amount collected by “anteen” of Sweden. Netherlands-based British star Conor “1_conor_b_1” Beresford saw his tournament end in an eighth-place finish worth $7,990 before Samuel “€urop€an” Vousden banked $10,404 after exiting in seventh-place. Vousden’s countryman Sami “Lrslzk” Kelopuro then busted in sixth-place to turn his $2,100 into $13,547. Any of the final five players would have made a worthy champion, but fifth-place was as far as Russia’s “DRONCHEK” would progress to, a finish worth $17,368. The Russian was joined on the rail first by Niklas “Lena900” Astedt ($22,966) and “WATnlos” ($29,903) to set up an intriguing heads-up match between Nemeth and Dmitry “yurasov1990” Yurasov. Nemeth dispatched his opponent in second-place, which was worth $38,935, and banked the $50,695 top prize for himself. Chance “ChanceSeeYou” Kornuth was a big winner at partypoker after he topped a field of 119-entrants in the partypoker Sunday High Roller Gladiator: $250K Gtd event. Some of the bounty payments in this PKO tournament were substantial, although none were bigger than Kornuth’s haul. The popular Canadian won $23,543 for his first-place finish, and this was boosted by $43,279 worth of bounties, including that of second-place finisher “madgenius87” of Austria who won a combined $28,046 for their $2,100 buy-in. We have to give a shout out to sixth-place finisher “ojanOmaha” of Sweden because they had been accumulating bounties throughout the tournament. By the time they busted in sixth-place, the Swede had secured $7,776 worth of bounties, making a total prize of $14,499, $500 more than fifth-place finisher “PokerBrothersTM” walked away with. The man of the hour, however, was Kornuth who shone at the final table and added another major title to his already impressive resume. High stakes tournament regular “Chelsea72” was crowned partypoker Sunday High Roller Deepstack: $200K Gtd champion after outlasting 194-opponents in the $1,050 buy-in tournament. Thirty-two places were paid with a min-cash weighing in at $2,080, a final table appearance boosting this amount to $4,600 and first-place being worth $40,780. Dutch player “GewoonBoef” was the first casualty at the eight-handed final table and thus collected $4,600 and they were joined on the sidelines by “Gb618” of Brazil ($6,200) and Canada’s “KERRMODE” ($8,400), the latter being the last player not to win a five-figure sum. Kyle “KPitts34” Julius was the next player to head to the showers, although doing so having secured an $11,000 addition to his bankroll. Fourth-place and $15,600 went to Kenny “Spacey1891” Hallaert before “HeavensEdge222” came unstuck in third-place for $21,100. Chelsea72 found themselves heads-up against Viktor “Isildur1” Blom but was unfazed by their superstar opponent and ran out a worthy winner. 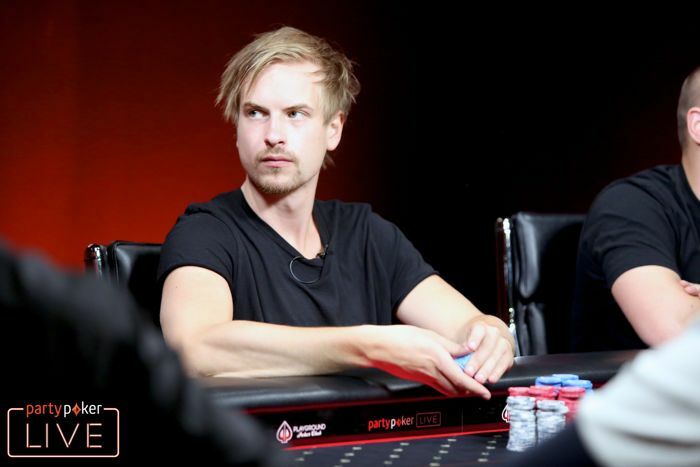 First-place netted Chelsea72 $40,780 while Blom added $29,600 to his partypoker account and will no doubt use these funds in some high stakes cash games in the future. “ImLividBuddy” from Thailand continued their impressive run at Natural8 with a victory in one of two Sunday Blade $5Ks that ran on Mar. 17. The Thailand-based grinder is a regular in the biggest buy-in tournaments on Natural8. They banked another $97,088 after outlasting 58-opponents in this event, defeating the United Kingdom’s “chan593” heads-up for the title, resigning the runner-up to a $59,335 consolation prize. Each of the seven players who cashed in the Sunday Blade $5K walked away with at least $11,633. Hungary’s “PokerBluff1” busted in seventh-place for $11,633 and “ExclusiveA” of the Netherlands banked $16,114 after falling in sixth-place. Fifth-place and $22,322 went to “AlfredDelia” of Canada before “FuTimReilly” netted $30,921 when their run ended in fourth-place. Austria’s “LlinusLLove” collected $42,834 after busting in third-place. ImLividBuddy also won more than $108,000 when they triumphed in a $10,000 buy-in tournament that was exclusive to the GG Poker site on the same network as Natural8. Quite the weekend for them. An earlier Sunday Blade $5K attracted 46 runners who created a $218,500 prize pool that was shared among the top six finishers. “FkTheseGuysBro” was the unfortunate player to bubble, paving the way for the final six players to cash. “ImLividBuddy,” who would later win another $5K and $10K event, finished in sixth-place for $10,450 and was joined on the rail by “oivens22” whose fifth-place finish banked $15,558. “SasukeUchiha” fired five bullets, meaning he actually lost money despite cashing for $23,163 when he fell in fourth-place, with “Shark Bait” scooping $34,485 for their third-place exit. Heads-up was between Canada’s “Picasso16” and Mexico’s “carsonwentz” but the battle didn’t last long as the last standing duo struck a deal for the remaining prize pool, the former walking away with the title and $67,797 with second-place now worth $67,045. This weekend’s 888poker $50,000 Whale drew a compact crowd of 43 entrants who competed to finish in the top four places where $50,000 was paid out. Russian star “josef_shvjek” was the first player to cash, their fourth-place bust out bagging them $5,000 for their $1,050 investment. Next to the cashier was Russia’s “Panzerfish” who walked away with a $7,500 prize and whose exit left “WalnutPix” of the United Kingdom and “tinchoarce” from Argentina to play one-on-one for the title. No deal was struck despite there being a $7,500 difference between first and second-place, 50 percent of the second-place prize. This meant when WalnutPix busted as the runner-up, they netted $15,000 while the champion, tinchoarce, padded their bankroll with $22,500. A field of 432-entrants took part in the 888poker $100,000 Sunday Mega Deep and were all outlasted by “paraRC” of the United Kingdom who is now enjoying having $19,350 in their 888poker account. 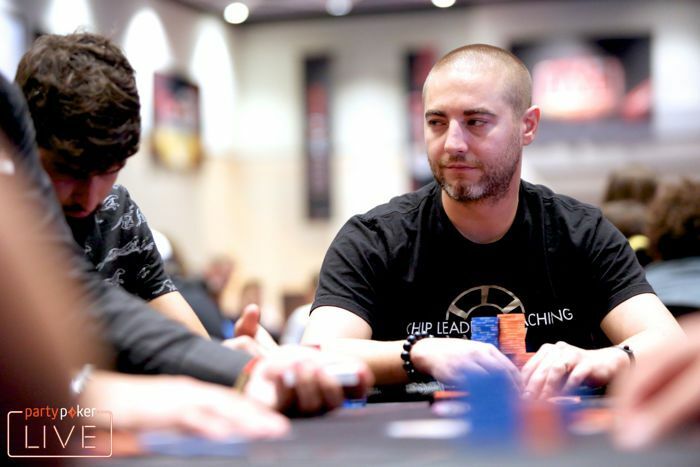 paraRC was one of four British players at the nine-handed final table, plus there was the popular Irish grinder and recent author Dara “Doked” O’Kearney; the Irishman crashed out in seventh-place for $3,400. The first of the British players fell in fifth-place, “rivaldi13” walking away with $5,700. Next was Ian “Simpioni” Simpson whose tournament ended abruptly in fourth-place, which was good for $8,250. “Tupastacerdo” then busted in third-place for an $11,000 score, leaving paraRC and Germany’s “IbetUfold” as the last players standing. The Germany lost the heads-up battle, but still secured a $14,500 payday, with paraRC banking the $19,350 top prize.